I had a stinging burning eyes experience. I tried this product on 2 separate days thinking the stinging / burning effect was due to it cleaning my eyes out. I will not be using this going forward. I will be alerting my Dr. as I must be allergic to something in the drops. We're very sorry to hear about this! We would like to learn more about your experience using our eye drops. Please give us a call at ​1-888-734-7648 M-F between the hours of 9A-5:30P ET. We're looking forward to your call! 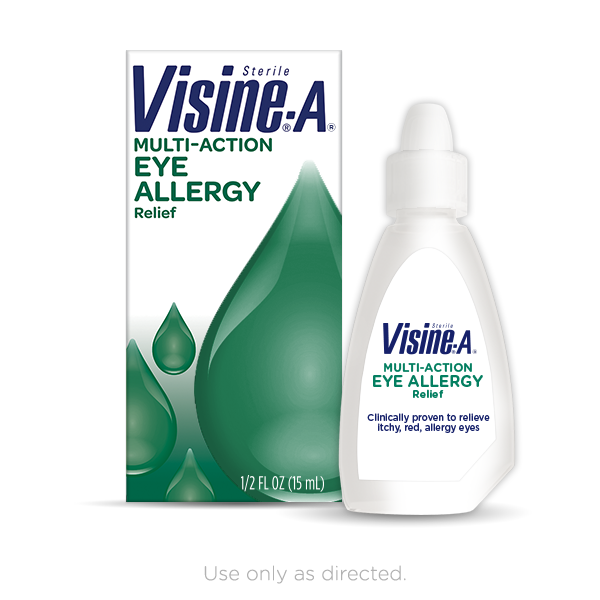 We bought this for our son because he has allergies and the doctor told us to get eye drops. The first dose he said burned his eyes and we thought because he had red irritated eyes it was something that just happens. He took one more dose, it still burned and he was very sensitive to light,woke up this morning with both eyes redder and swelled up. He is going back to the doctor to see what is going on. I wish I would have looked online at reviews to see that there are folks who have burning reactions as well and that it is not normal. We're sorry to hear about this! We would like to learn more about your son's experience using our eye drops. Please give us a call at 1-888-734-7648 M-F between the hours of 9A-5:30P ET. Thank you and have a great day. Only eye drop to take away the redness! This was an accidental find while on vacation in the Bahamas. My eyes turned red the minute i stepped off the plane. It looked as if i was "swimming in chlorine all day with my eyes open" type of redness. I tried my dry eye gel drops for dry eye but it didn't take away the redness and discomfort. This was the only thing that helped me! So grateful! It was a millisecond of burning when the drops hit the inflamed eye, so worth the relief it gave me. My only complaint is that it doesn't last a long time for me. Maybe a couple hours per dose to the eye. Either way I keep a bottle in my purse now. Spring allergies are kicking in and this is the only drops that help. Thanks for the review! We’d like to learn more about your experience. Give us a call at 1-888-734-7648, we’re here M-F from 9:00 AM – 5:30 PM ET. When you call, please share your username so we can match your call to your review. Talk to you soon! From time to time my eyes get super red. Like, people ask if I need to go to a doctor red. Visible A is the ONLY product I’ve found, after lots of trial and error, that can make that redness go away completely. I love these eye drops. So I had a bad sinus infection then got what I thought was pinkeye my doctor called in antibacterial drops after six days I still had the feeling of something in my eye and redness in the corner so I decided to purchase these Thinking maybe it is allergies I put one drop in my left eye and two in my right eye because they were right I was the one that I thought I had pinkeye and well and hour later or so I looked in the mirror and my Pupil on the right was much larger. That scare the crap out of me and I went online thinking something was very wrong-Then went on the site to look at the side effects and yep it’s listed. Why would this make your pupils large? I’m returning it tomorrow! We wouldn't expect this from our product! We would like to learn more about your experience. Please give us a call at 1-888-734-7648 M-F between the hours of 9A-5:30P ET. Have a great day! I have used many visine products but visine a made my eyes burn severally!! We want to learn more about this. Please give us a call at 1-888-734-7648. We're available Monday-Friday 9AM-5:30PM ET. When you call mention your username to our team. We hope to chat soon! Eliminated the itch but burned something fierce. Made my vision blurry. I rinsed for about three minutes with water before a cooling finaly set in and I felt like I had rinsed all the Visine out. This is weird because I use other Visine products without issue. Hi there, thanks for taking the time to write a review. We'd like to apologize as we would never expect your eyes to burn from using our products. Because of this, we'd like to learn more about your experience. When you have a chance, please give us a call at 1-888-734-7648. We're available Monday through Friday 9 AM - 5:30 PM ET. We look forward to hearing from you!